Shown at the recent Bike Place Show, Gone Biking Mad has created a solution to counter damaged paintwork in transit. Scrapes to paintwork caused by pedals is a common complaint of those hauling demo fleets between locations. 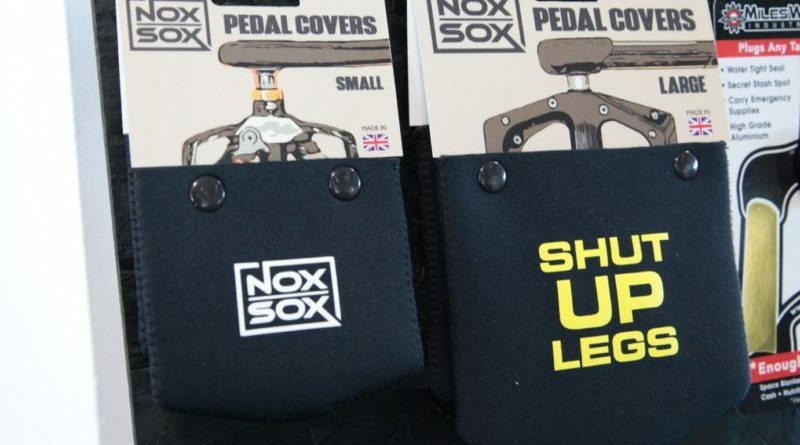 Step in the Nox Sox, a new Cornwall-made neoprene cover available to slip over both platform and clipless pedals. Retailing at £19.99 for the large and £17.99 for the smaller size, Gone Biking mad is now taking custom orders from bike shops and labels interested in custom branding the product. Custom runs can be produced from as little as £25. 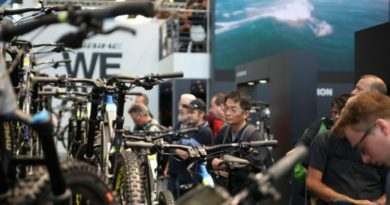 Trade accounts are handed a “strong margin” and the ability to “enhance their brand” with customers traveling with their bikes, Gone Biking Mad owner Mark Hudson told CI.N. 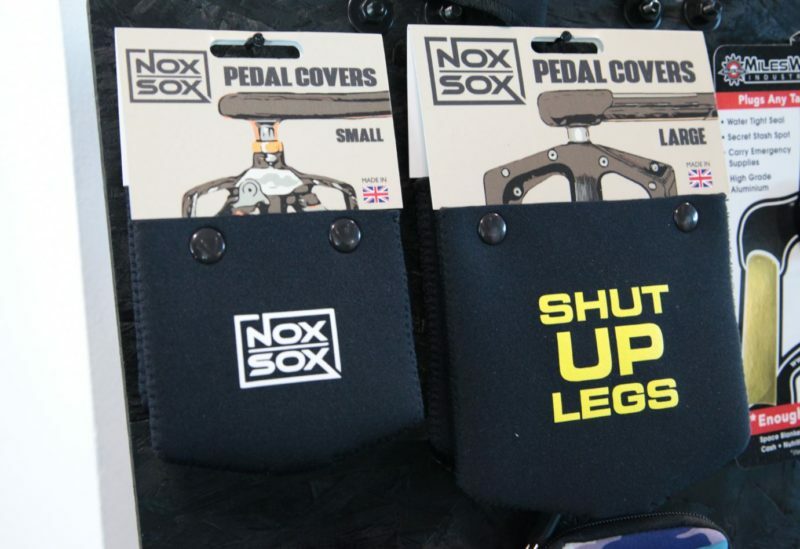 Slat wall packaging is supplied with each pair of Nox Sox for those wishing to sell on to customers. 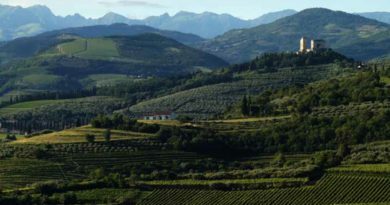 Trade accounts can get in touch with Gone Biking Mad on 07789 118728.